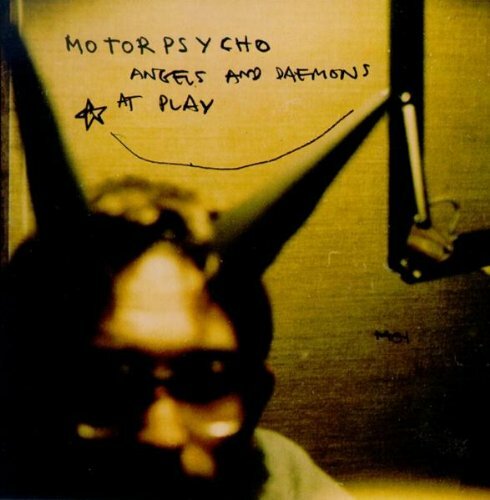 MOTORPSYCHO-ANGELS AND DAEMONS AT PLAY. Nowadays, not many bands stay together twenty-seven years. Longevity seems to be a thing of the past in the music business. Sadly, so is releasing an average of an album a year. That was common in the sixties and seventies. Not any more. Very few bands come close to releasing an album a year. Instead, many bands spend several years working on an album. 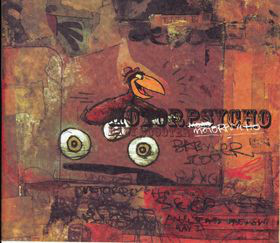 However, there is one band still that average an album a year, Motorpshycho, who have been together twenty-seven years. 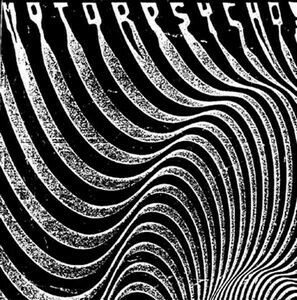 Motorspycho were formed in Trondheim, central Norway, in October of 1989. Since then, Motorpsycho have become a musical institution. They’re now veterans of the Norwegian music scene, and continue to influence a new generation of musicians. These new bands aspire to follow in the footsteps of Motorpsycho. They’ve come a long way since releasing their debut album Lobotomizer in 1991. Since then, Motorpsycho have been a prolific band, averaging nearly an album a year. This includes studio albums, live albums, mini albums and collaborations. These albums have been released to critical acclaim and commercial success. That is almost an understatement. Since the release of their fourth full length album Timothy’s Monster in 1994, Motorspycho’s last fifteen albums have reached the top ten in the Norwegian charts. Motorspycho’s music has also found an audience across Europe, with their albums regularly charting in Belgium, Germany and Holland. They’re also a hugely popular live band, and are familiar faces across Europe and further afield. Motorpsycho it seems, are one of Norwegian most successful musical exports. Meanwhile, back at home in their native Norway, Motorpsycho have scooped some of the most prestigious musical prizes. This includes an Edvardprisen and a total of four Spellemannprisen Awards. These are the Norwegian equivalent of the Grammy Awards. Winning a Spellemannprisen is a huge honour. Most groups are lucky to be nominated for one award. So far, Motorpsycho have won four. One of the Spellemannprisen awards was for their 1997 double album Angels and Daemons At Play. It was a landmark album for Motorpsycho, and marked their coming of age musically. This makes Angels and Daemons At Play one of the most important albums in Motorpsycho’s back-catalogue. Given the importance of Angels and Daemons At Play this made it a prime candidate to become the fourth instalment in Motorpsycho’s luxury box set eissue program. Angels and Daemons At Play will be reissued by Rune Grammofon as a six CD set on the 23rd of December 2016. This loving curated box set features the album as Motorpsycho meant the listener to hear it. Angels and Daemons At Play is spread across the first three discs in the box set. Disc four features is entitled The Ones That Got Away: Rarities and Live Recordings, and featuresB-Sides, outtakes and live tracks. Discs five and six feature Parts 1 and 2 of Motorpsycho Live At Rockefeller, on March 14th 1997. This brings to an end the six CD Angels and Daemons At Play box set. It’s an in-depth and comprehensive retrospective of Motorpsycho’s sixth studio album, Angels and Daemons At Play. However, how did they get to Angels and Daemons At Play? Motorpsycho’s musical journey began in Trondheim, in central Norway in October 1989. That was when three local musicians decided to form a new band. They were drummer Kjell Runar “Killer” Jenssen, bassist and vocalist Bent Sæther and guitarist and vocalist Hans Magnus “Snah” Ryan. Now the began to think of a name for their new band. This is a problem many bands are faced with. The three friends were faced with a similar situation, and were struggling to come up with a name. This problem was solved during a trip to London. The bandmates decided to watch a Russ Meyer double bill featuring Mudhoney and Faster Pussycat. Both would’ve been the perfect name for their new band. However, someone had beaten them to it. One name that was still free, was Motorpsycho, and that day, a Norwegian musical institution was born. Recording of Maiden Voyage began on the 29th of April 1990, when How Was I To Know recorded How Was I To Know at UFFA, which was a youth club in Trondheim. It was also a meeting place for local musicians. This was where Motorpsycho returned to, between the 2nd and 6th June 1990. They recorded another four tracks. With one track left to record, Motorpsycho moved to Studentradion on the 6th of June. That was where they recorded Blueberry Daydream. This was the final track that would feature on Maiden Voyage. Later in 1990, Maiden Voyage was released on cassette as a limited edition, mini album. Only 100 copies of Maiden Voyage were released by the Knallsyndikatet fanzine. It’s now one of Motorpsycho’s rarest releases. Maiden Voyage introduced Motorpsycho’s genre-melting sound to a wider audience. It helped launch the career of Motorpsycho, who in 1990, were a new and up-and-coming band. Later in 1990, Motorpsycho returned to the studio to begin work on their debut album, Lobotomizer. They recorded six of the tracks on Lobotomizer at the Warehouse, in Oslo during December 1990. Then three months later, in March 1991, Motorpsycho reconvened at Studentradioen. Two more tracks were recorded, Eternity and Lobotomizer. It would lend its name to Motorpsycho’s debut album. After completing their debut album, another nine more months passed before Motorpsycho released their debut album, Lobotomizer in December 1991. This allowed them to further hone their sound, and continue to build a following. Motorpsycho did this the tried and trusted way, by playing live. By the time, the release of Lobotomizer came round Motorpsycho were already a popular live draw. Lobotomizer was released by Voices Of Wonder Records in December 1991. Initially, the album was only released on vinyl, as a limited edition of 1,000 copies. This was because Motorpsycho were still a relatively unknown band. Not for much longer though. When Lobotomizer was released, it was to critical acclaim. Motorpsycho with their unique fusion of grunge with heavy metal and indie rock were hailed as the future of Norwegian music. Things were looking up for Motorpsycho. Especially, after the shock departure of drummer Kjell Runar “Killer” Jenssen earlier in 1991. That was huge blow for the band. 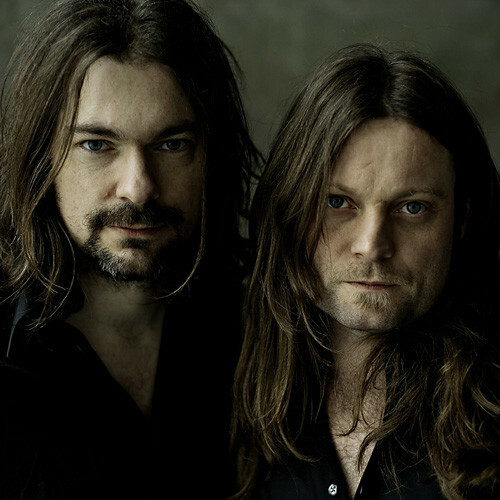 Kjell was replaced by Håkon Gebhardt who made his Motorpsycho debut on the mini album Soothe. The new lineup of Motorpsycho made their recording debut at Brygga Studios on the 2nd of January 1992. Over the next four days, five tracks were recorded. This included a cover of the Mamas and Papas’ California Dreamin’, which featured Lars Lien on backing vocals. This cover of California Dreamin’ became part of Motorpsycho’s second mini album, Soothe. Later in 1992, Voices Of Wonder Records were preparing to release the Soothe mini album. It was a limited edition of 100, with seventy copies of Soothe being released in a signed steel box. They would later become highly collectable. Before that, the Motorpsycho success story continued apace. Again, critical acclaim accompanied the release of Soothe. Critics were won over by Motorpsycho’s fusion of hard rock and psychedelia. Soothe was quite different to previous releases. Already, Motorpsycho’s music was evolving as they continued to reinvent themselves. This would be the case throughout Motorpsycho’s career. 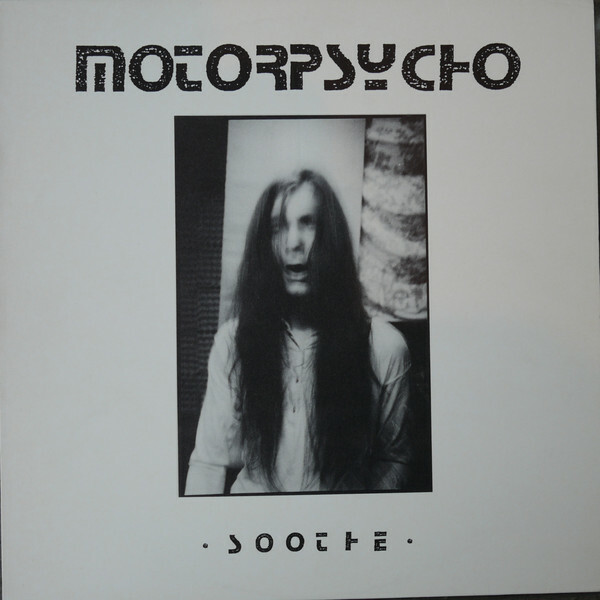 After the release of Soothe, Motorpsycho returned to the studio in July 1992 and recorded their single 3 Songs For Rut. On its release later in 1992, 3 Songs For Rut didn’t receive the same reception as Lobotomizer and Soothe. Gone was the critical acclaim that had accompanied previous releases. 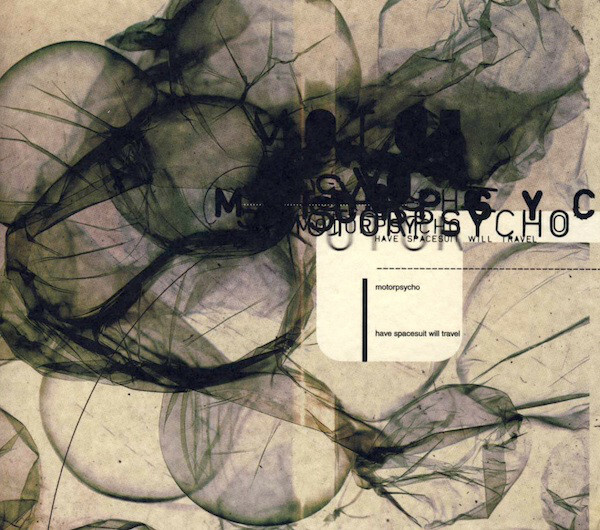 For Motorpsycho, self doubt entered the equation, just when everything had been going so well. 8 Soothing Songs For Rut. Despite the critics reaction to 3 Songs For Rut, Motorpsycho 8 Soothing Songs For Rut decided to included the songs on their sophomore album. This would also feature the songs from the Soothe mini album. These eight songs became Motorpsycho’s sophomore album, 8 Soothing Songs For Rut. It was released later in 1992, and 8 Soothing Songs For Rutwas well received by critics. They were won over by Motorpsycho’s mixture of hard rock, psychedelia, stoner rock and grunge. Again, this proved popular with Norwegian record buyers. 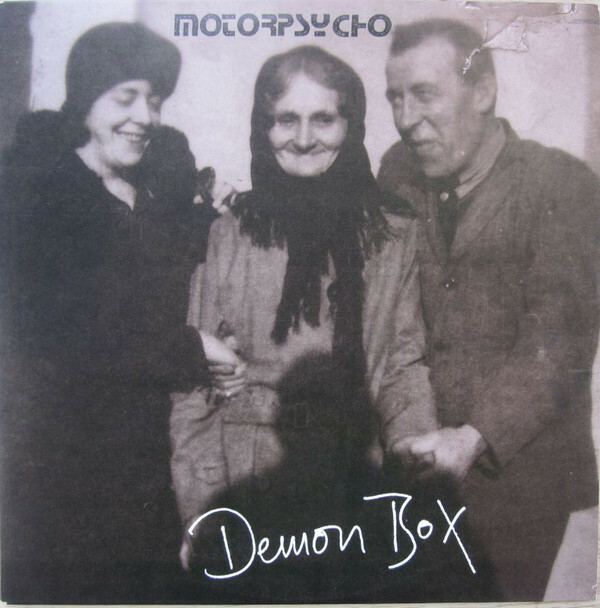 However, not as popular as Motorpsycho’s next album, Demon Box, which was a game-changer. After the release of 8 Soothing Songs For Rut, a new name joined Motorpsycho. This was sonic scientist Helge “Deathprod” Sten. His sonic noise experiments would move Motorpsycho’s music in a very different direction as they pondered their next album. By then, Motorpsycho had only one roll of the dice left. Their contract with Voices Of Wonder Records was almost up. They owed the record company one more album. In such a situation, most groups would’ve tried to replicate their debut album Lobotomizer. However, Motorpsycho weren’t most bands. Instead, they decided to moved their music in a new direction, and in the process, created an ambitious, double album, Demon Box. Recording of Demon Box took place in December 1992. On a number of tracks, Motorpsycho brought in a few musical friends. Their job was augmenting Motorpsycho’s sound. To create this new sound, Motorpsycho’s friends deployed an eclectic selection of instruments. This included a sitar, violin, mellotron, synths, percussion and organ. None of these instruments had featured on a Motorpsycho album. This was a first, with Motorpsycho and their friends crafting a very different album. Demon Box found Motorpsycho’s music heading in new directions. During the recording of Demon Box, Motorpsycho drew inspiration from a wide variety of musical influences and genres. This included everything from avant-garde, electronica, folk and free jazz and grunge, to heavy metal, indie rock, jazz, Krautrock, psychedelia and rock. They all shine through on Demon Box. Often, there’s only the merest of glimpses of these influences. However, they can be heard, and made Demon Box a captivating, innovative and progressive album that launched the career of Motorpsycho. When Demon Box was released later in 1993, Motorpsycho hit the jackpot. Demon Box received praise, plaudits and critical acclaim from critics and cultural commentators. They couldn’t praise Demon Box highly enough. It was a hailed an ambitious, groundbreaking and genre-melting album of innovative music. Suddenly, Motorpsycho were bring described as one of the most important Norwegian bands. Motorpsycho’s plan to reinvent their music had worked, and resulted in a career defining, classic album. Demon Box was also the most successful album of their career. This however, would soon change. After the release of Demon Box, Motorpsycho’s contract with Voices Of Wonder Records came to an end. By then, the success of Demon Box had brought Motorpsycho to the attention of what was, one of the world’s biggest, and most prestigious record labels, EMI. They were keen to sign to sign Motorpsycho, whose star was very much in the ascendancy. For Motorpsycho, this was a dream come true. They were about to sign to a major label. It was what they had been working towards since 1989. This was the start of a new chapter in the Motorpsycho story. Motorpsycho decided to launch their career at EMI by recording the most ambitious album of their career. This was Timothy’s Monster, q sprawling triple album that featured fifteen tracks. To record this Magnus Opus, Motorpsycho were joined by Lars Lien and Helge “Deathprod” Sten. He would coproduce Timothy’s Monster with Motorpsycho. Recording of Timothy’s Monster took place during the winter and spring of 1994. Most of the album was recorded at Brygga Studio, in Trondheim. Some sessions took place at Strype Audio, where the album was later mastered. Then EMI could prepare for the release of Timothy’s Monster. The release was scheduled for the 6th of August 1994. This was a huge step for Motorpsycho, as Timothy’s Monster was their major label debut. Before that, the critics had their say on Timothy’s Monster. Just like previous albums, critical acclaim accompanied the release of Timothy’s Monster. Things got even better when the album was released. It entered the Norwegian charts, and eventually reached number seven. For Motorpsycho this was a proud moment. So was when the album cover for Timothy’s Monster was nominated for the most prestigious Norwegian music award, a Spellemannprisen. At the award ceremony, Timothy’s Monster won Motorpsycho their first Spellemannprisen award. It certainly wouldn’t be the last. Not by a long chalk. Following the commercial success of Timothy’s Monster, Motorpsycho spent much of 1994 and the early part of 1995 touring. They were determined to build up their following outside of their native Norway. However, by September 1995, Motorpsycho returned to their studio with Bent Sæther and Helge “Deathprod” Sten taking charge of production. This time around, Motorpsycho decided to change their modus operandi. Rather than spending time experimenting and working on ideas in the studio, Motorpsycho arrived with songs already written and committed to tape. The theory was, that Motorpsycho would be more focused and spend less time recording their new album, Blissard. 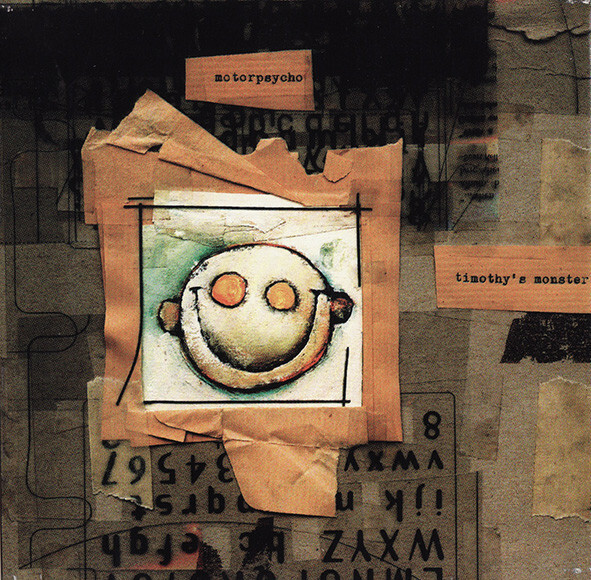 This new idea worked, and by December 1995, Motorpsycho, with the help of a few of their musical friends, had recorded another ambitious double album Blissard. Two months later, and EMI subsidiary Columbia were preparing to release Blissard. Just like previous albums, Blissard won over critics, and it was released to widespread critical acclaim. Again, critics were impressed by what was another genre-melting album. Motorpsycho combined alternative rock, avant-garde, electronica, psychedelia and stoner rock on Blissard. It was a captivating album that was sure to capture the imagination of record buyers. That proved to be the case. 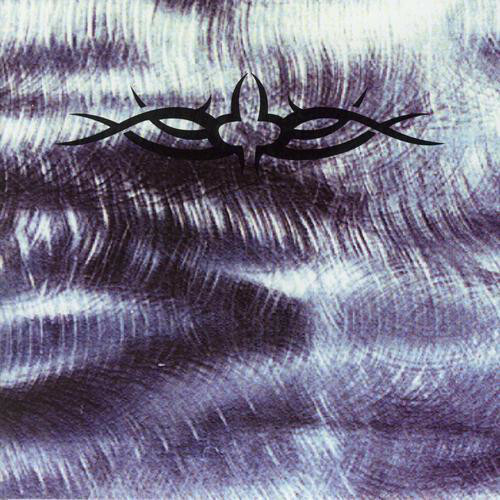 When Blissard was released on February 16th, 1996, the album proved popular amongst Norwegian record buyers. The album began to climb the charts, and eventually reached the top ten. Still Blissard kept climbing the charts. Eventually, it reached number three. This made it Motorpsycho’s most popular album. That however, wasn’t the end of the success story that was Blissard. Later in 1996, Motorpsycho found themselves being nominated for a second Spellemannprisen award. Blissard had been nominated for the best album in the hard rock category. This was always a category where the competition was tough. 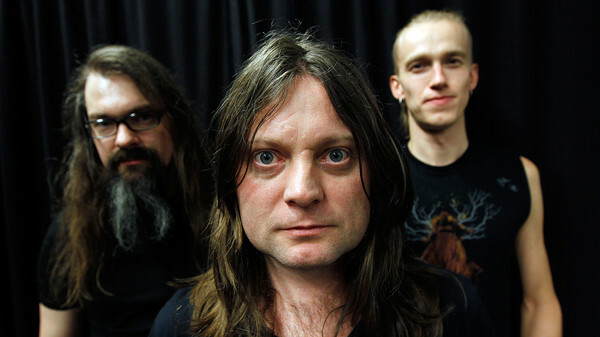 Despite this, Motorpsycho triumphed when Blissard won the group their second Spellemannprisen award. Soon, two would become three. Angels and Daemons At Play. 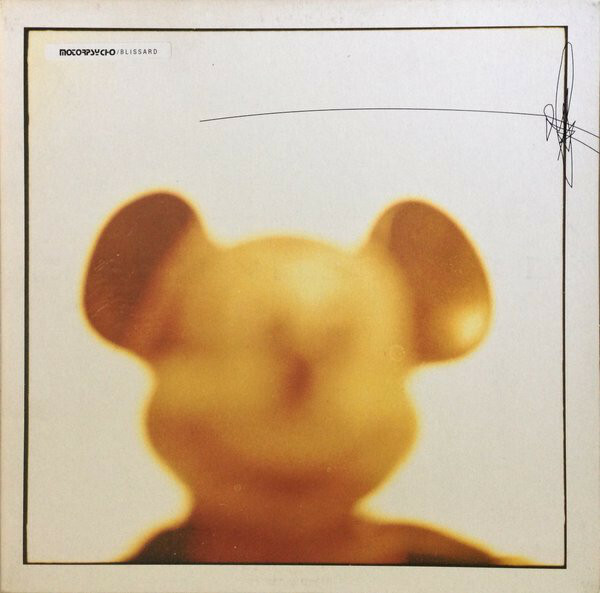 Motorpsycho had just released the most successful album of their seven year career, Blissard. Following this up wasn’t going to be easy. 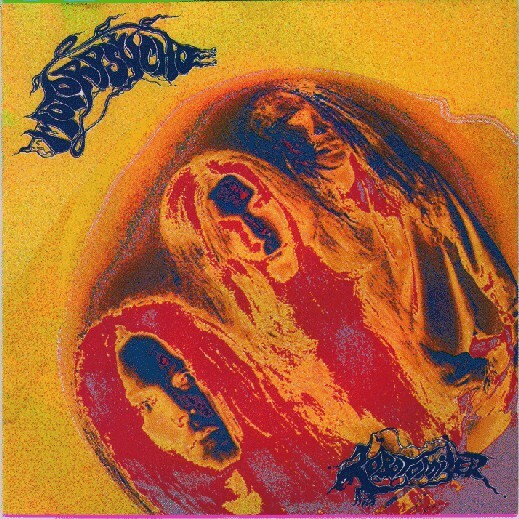 If any Norwegian group was capable of surpassing Blissard, it was Motorpsycho. Throughout their career, they had built on their previous success. Motorpsycho were determined that this would continue on their sixth album Angels and Daemons At Play. It’s about to be reissued by Rune Grammofon as a six disc box set. This is the definitive version of the album, and features Angels and Daemons At Play as Motorpsycho intended. The Angels and Daemons At Play story began in October 1996, when Motorpsycho entered the studio to record a new album. It would be co-produced by sonic scientist Helge “Deathprod” Sten. He would also feature on Angels and Daemons At Play. Ever since Helge “Deathprod” Sten first began working with Motorpsycho, their sound had changed. Partly, this was because of the array of instruments and effects used. Similarly, Motorpsycho were now using a much more eclectic selection of instruments. This was the case on Angels and Daemons. As Motorpsycho and their friends arrived at the studio, they brought began setting up a vast arsenal of musical instruments and effects. Drummer Håkon Gebhardt would play banjo, percussion, piano and add vocals. Bassist Bent Sæther played acoustic and electric guitars, double bass, mellotron, Fender Rhodes, Moog Taurus, percussion, organ, piano and drums on Sideway Spiral I. He too, would add vocals. So would Hans Magnus Ryan, who would play acoustic and electric guitars, bass, double bass, percussion, vibes, piano, organ, Moog Taurus and drums on Atlantic Swing. The three members of Motorpsycho were joined by three of their friends. This included co-producer and associate member of Motorpsycho, Helge “Deathprod” Sten. He brought with him oscillators, an echoplex, reverators and a ring modulator. Ole Henrik Moe arrived with an alto and soprano saw, violin and would play piano. Morten Fagervik brought with him his guitar, which he played on Atlantis Swing. It was one of fourteen songs that Motorpsycho recorded during October 1997. They were meant to become Motorpsycho’s next album, Angels and Daemons. Before that, Motorpsycho decided to release the tracks that had been recorded during the Angels and Daemons sessions as a trio of limited edition E.P.s. Only 500 copies of each E.P. would released early in 1997. As 1997 dawned, Motorpsycho began to prepare for the release of the three limited edition E.P.s This was a first for them. Never before had they released three E.P.s on consecutive weeks. The first E.P. was due to released in the last week of January 1997. This was the Baby Scooter E.P It was released on the 27th of January 1997, and featured five tracks. This included Sideway Spiral, Walking On The Water, Heartattack Mac, Pills Powders and Passion Plays and In the Family. These tracks proved popular amongst record buyers in Norway. When the Baby Scooter E.P. was released, it reached number fourteen in the Norwegian charts. This was just the latest success to come Motorpsycho’s way. That was no surprise. The Baby Scooter E.P. which features on disc one of the Angels and Daemons box set, showcases the different sides to Motorpsycho. Have Spacesuit Will Travel-Disc Two. A week later and Have Spacesuit Will Travel was released on the 3rd of February 1997. It was a very different E,.P. This time, the E.P. consisted of one epic track, that featured three parts. The three parts to Have Spacesuit Will Travel are truly captivating. Constantly, Motorpsycho spring surprises as the music changes direction. Seamlessly, they shift between disparate musical genres, and incorporate a variety of musical influences. All the time, subtleties and surprises are sprung during this musical Magnus Opus. It’s no surprise that Have Spacesuit Will Travel proved popular amongst Norwegian music fans. Upon its released, Have Spacesuit Will Travel charted, and eventually, reached number thirteen in the Norwegian charts. Motorpsycho’s decision to release the trio of E.P.s had been vindicated, as it gave them another hit single. The Have Spacesuit Will Travel E.P. is replicated on disc two of the Angels and Daemons box set, and is a reminder of Motorpsycho at their groundbreaking best. The third and final E.P. that Motorpsycho released, was Lovelight. It was released on the 10th of February 1997, and featured another six tracks. This included Sideway Spiral II, Like Always, Stalemate, Starmelt, Lovelight, Timothy’s Monster and Atlantis Swing. Again, a myriad of musical genres and influences can be heard throughout Lovelight. Elements of alt rock, post rock, psychedelia and space rock could be heard on Lovelight as Motorpsycho flit between and combine genres on the six tracks. They ooze quality. Especially when Motorpsycho kick loose and rock hard on Like Always, Starmelt, Lovelight and Timothy’s Monster. Just like the two previous E.P.s, Lovelight proved popular upon its release. When Lovelight was released, it followed in the footsteps of Baby Scooter and Have Spacesuit Will Travel, and reached thirteen in the Norwegian charts. This meant that each of the E.P.s from the Angels and Daemons sessions. For Motorpsycho, this augured well for the release of Angels and Daemons later in 1997. Later in 1997, Motorpsycho were preparing to release their sixth album Angels and Daemons. It was a truly eclectic album stylistically, and it wasn’t going to be easy to program the album so that the album flowed. However, Motorpsycho had a plan that would ensure that the album ‘worked’ and made sense sonically. Motorpsycho wanted Columbia, who in 1997, were owned by Sonym to release three separate versions of the album on CD and LP. This included a shortened CD version that featured just twelve tracks. There would be a three CD box set that replicated the three E.P.s, Disc one would replicate Baby Scooter, disc two Have Spacesuit Will Travel and disc three Lovelight. The vinyl version was a double album. However, given the constraints of vinyl, two tracks were omitted and only fourteen tracks made their way onto the double album. This was a complicated project, and one that took a lot of planning. Producing three different versions of an album was almost unheard of in 1997. Nowadays, it’s commonplace. Not for the first time, Motorpsycho were pioneers. Now that Motorpsycho had worked out how they wanted to release Angels and Daemons, Columbia started to make plans for the release of the album later in 1997. Eventually, Angels and Daemons was ready for release. Just like previous albums, critical acclaim accompanied the release of Motorpsycho’s sixth album Angels and Daemons. It was one of their most eclectic album, with Motorpsycho drawing inspiration from a myriad of musical genres and influences. This found favour with the Norwegian music buying public. Upon the release of Angels and Daemons, it entered the Norwegian charts. It began to climb the charts, and eventually reached the top ten. Angels and Daemons didn’t stop there. Eventually, it reached number two becoming the most successful album of Motorpsycho’s career. That however, wasn’t the end of the success for Motorpsycho. Later in 1997, Motorpsycho found themselves being nominated for a third Spellemannprisen award. Angels and Daemons was nominated in the hard rock category. This was the category that Motorpsycho won with Blissard in 1996. They made it two in a row in 1997, when Angels and Daemons won Motorpsycho the third Spellemannprisen award of their career. This they won with what many critics called the most eclectic album of their career. It features on the first three discs of the Angels and Daemons six disc box set. Discs 4-B-Sides, The Ones That Got Away: Rarities and Live Recordings. The fourth disc in the Angels and Daemons box set is entitled The Ones That Got Away: Rarities and Live Recordings. It features sixteen tracks. Many of these tracks make their debut on disc four. Others however, have been released before. This includes the five tracks that featured on the Starmelt E.P. It was released on Columbia in 1997, and featured Starmelt/Lovelight, a live cover of Humble Pie’s Up Our Sleeves and what was then a new song, Wishing Well. The other two tracks included a rerecording of Flick Of The Wrist and a version of Instamatic recorded in April 1997. That however is just part of the story of disc four. There are a number of outtakes on disc four. This indues Back To Source, which later featured on the Ozone E.P. Another outtake is a captivating version of Caterpillar, which was recorded for the AADAP sessions. It’s never been released until now. Neither has this version of King Bong Hop, which is a welcome addition to disc four of the Angels and Daemons box set. The same can be said of the three songs that featured on a split-CD that was released to benefit a local housing cooperative, Star Dancer Vs Car Cancer, La’Moen Rag and Baby Jesus II. They’re an eclectic trio of tracks that show a very different side to Motorpsycho. Especially the country tinged Baby Jesus II, which is a hidden gem in the Motorpsycho back-catalogue. It’s not alone. Another five tracks feature on disc four, and they were songs that Motorpsycho contributed to various compilations. They’ve never been collected together before. That is until now. Two of the highlights are understated Mad Sun and Nature’s Way. They join Syk, and the post rock soundscapes Un Chien D’Espace and Timothy In The Magic City. They’re both welcome additions to disc four and again, showcase Motorpsycho’s versatility as they flit between and combine musical genres. This they do in the studio and live. Discs 5 and 6-Rockefeller, March 14th 1997 Parts 1 and 2. The final two discs in the Angels and Daemons box set feature Motorpsycho live. This is no ordinary live recording. Instead, it’s a live broadcast Motorpsycho recorded for the Norwegian radio station NRK/P3. It was recorded on March 14th 1997, just a month after the release of the Lovelight E.P. Sadly, the show was never broadcast in its entirety. Nor was the show released as one of Motorpsycho’s live albums. It’s lain in the archives for nearly twenty years, and makes a welcome debut on the Angels and Daemons box set. That night at the Rockefeller, Helge “Deathprod” Sten took to the stage on March 14th 1997. He is joined by Ole Henrix Moe and two percussionists, and they open the show with one of Helge’s tracks Komet. This is no ordinary track. Instead, it’s a twenty-six minute genre-melting musical adventure featuring twists and turns aplenty. 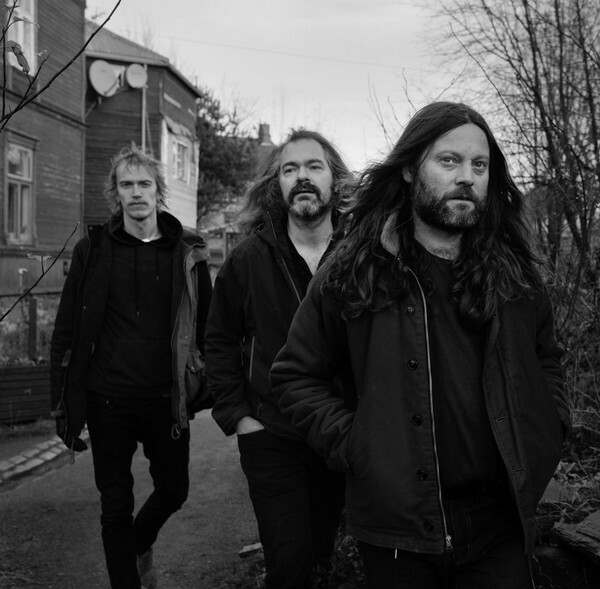 Once Komet draws to a close, Hege introduces Motorpsycho, and he and his band accompany them throughout the next sixteen tracks. Motorpsycho open their set with STG, which featured on the Definitivt Beat Nr 1 · 96 compilation the previous year. It’s one of their lesser known tracks. Soon though, Motorpsycho unleash one of the tracks from Timothy’s Monster, Kill Some Day. Already Motorpsycho are up and running. Motorpsycho who in 1997, were already one of Norway’s top bands return on disc six of the Angels and Daemons box set. They open the second part of their set with a seventeen minute, genre-melting, experimental epic, Un Chien d’Espace. It’s another track that would appear on Angels and Daemons later in 1997. So would Sideway Spiral II and You Lied. After this, Motorpsycho dip into their impressive back-catalogue. First stop is Hogwash, a track from Motorpsycho’s debut album Lobotomizer. That was the album that introduced Motorpsycho to the record buying public. Hogwash gives way to The One That Went Away, which is another hidden gem from Motorpsycho’s back-catalogue. This is followed by Nothing To Say, from Motorpsycho’s first classic album Demon Box. It was released in 1993, the same year as Motorpsycho’s split-single Into The Sun. It’s another of their lesser known tracks, but features a performance that veers between dramatic, rocky to melodic. Motorpsycho never miss a beat, and are at their tightest. However, they’ve only time for one more track, The Golden Core from Timothy’s Monster. This is another epic, and for fifteen minutes, Motorpsycho are at their most innovative as they push musical boundaries to their limit, and sometimes, way beyond. After such in impressive closing track, Motorpsycho take their leave, expecting the whole show to be broadcast in its entirety. Sadly, that never happened, and nearly twenty years later, the recording makes a belated debut on the six CD Angels and Daemons box set. It’s a snapshot of Motorpsycho live, as the musical chameleons continued to reinvent their music. This they had been doing throughout their eight year career. That would the case as their career progressed. Never again, would Motorpsycho sound like the band that took to the stage at the Rockefeller on March 14th 1997. Instead, they moved forward, their music constantly and continually evolving as the years passed and the new millennia dawned. Nineteen years later, and Motorpsycho are a very different band from the band that features on discs five and six of the Angels and Daemons box set. One thing hasn’t changed though, Still, Motorpsycho are musical pioneers who create ambitious, innovative and genre-melting music. That has been the case since they released their mini album Maiden Voyage in 1990. Since then, Motorpsycho have been a truly prolific band, averaging nearly an album a year. This includes studio albums, live albums, mini albums and collaborations. These albums have been released to critical acclaim and commercial success. However, when Motorpsycho released Angels and Daemons in 1997, it was their sixth album. Motorpsycho had already released their first classic album, Demon Box. It’s one of the most important albums of Motorpsycho’s early career. That is why Rune Grammofon decided to reissued Demon Box in 2014 as port of Motorpsycho’s luxury box set reissue program. Two years later, and Angels and Daemons become the fourth instalment in Rune Grammofon’s luxury box set reissue program. That is fitting. Angels and Daemons a groundbreaking, genre-melting, classic album, where Motorpsycho combined elements of alt rock, avant-garde, electronica and experimental music with Krautrock, post rock, psychedelia, space rock and stoner rock. All these genres can be heard on Angels and Daemons. Some are only glimpsed briefly, while others play a larger part in the sound and success of Angels and Daemons. It marked a coming of age musically for Motorpsycho, who were also well on their way to becoming one of the most successful Norwegian bands in 1997. Especially after Angels and Daemons reached number two in the Norwegian charts, and became the most successful album of Motorpsycho’s career. It also went on to win a Spellemannprisen awards in the hard rock category later in 1997. This was the third Spellemannprisen awards of Motorpsycho’s career so far. So it’s fitting that Rune Grammofon have decided to celebrate the release of Motorpsycho’s sixth album Angels and Daemons with the release of this lavish, luxurious and lovingly curated six CD box set. It will be released on 23rd of December 2016, and is a fitting way to celebrate Angels and Daemons which was Motorpsycho’s coming of age musically and nowadays, is regarded as one of their classic albums. ← LINDA JONES-PRECIOUS: THE ANTHOLOGY 1963-1976.